Danny Hultzen: Who will be #1? Here is a snapshot of University of Virginia southpaw Danny Hultzen, another name being thrown around as a potential #1 overall pick. This crafty southpaw relies more on pinpoint control and pitch movement than power to get batters out. His fastball is usually in the 91-93 MPH range but features late life that can deceive batters. His slider and slurve have been described as above average and feature plenty of movement, though he is still tinkering with his slider. He has pinpoint control that makes up for the lack of velocity. He still has some mechanical issues that may have to be addressed, as he throws across his body at times. Injury Risk– Since he relies less on power and more on control, this makes Hultzen a slightly less likely candidate to suffer from injury, though that isn’t a guarentee. Compliments- A crafty left handed pitcher would compliment the power arm of Taillon well in the rotation. The Price is Wrong– Reports out of Hultzen’s camp said that the pitcher would demand a $13 million dollar contract. To put that in perspective, Stephen Strasburg received $15.1 million in contract and bonus money. There is no way a player that profiles as a #2 pitcher at the most will get that kind of money. Haven’t we tried this before?– Much throughout Dave Littlefield’s tenure, the Pirates spent high draft picks on pitchers that profiled very similarly to Hultzen. We all know how that turned out. While it’s a much higher risk, power arms usually yield better potential for great rewards. With the draft taking place next week, the months of scouting and preparation will come to an end, with the Pirates adding a highly touted prospect with the first pick. The fact there isn’t a clear front-runner will make this the most intriguing draft the Pirates will have in some time. Gerrit Cole: Who Will Be #1? The clock continues to count down toward the 2011 MLB Draft. Here is the second part of my series taking a look at who the Pirates might take first overall. A pitcher that fits the workhorse and power pitcher roles, Cole is a rare combination of finesse and strength. With a fastball that averages in the mid to upper 90s that can top out at 99-100 MPH, and a devastating slider, Gerrit features an arsenal of pitches that can rack up a ton of swings and misses. He also features a strong arm that lets him go deep into games regularly and eat innings. 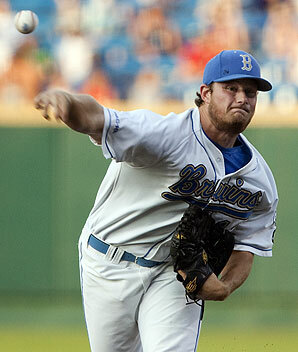 In 15 2011 starts, he has gone 6-7 with a 3.28 ERA while striking out 108 batters in 107 innings. Depth– Yes the Pirates drafted pitcher Jameson Taillon with the 2nd pick last year, but with pitching being such an unpredictable position, it’s better to have two high-potential arms than one, especially if the injury bug hits one of them. Potential for a devastating rotation– Assuming both Taillon and Cole develop, the Pirates would have a ridiculously good top of the rotation that would feature two aces. Workload– Since Cole has pitched so much in college, it would be likely that the team limits his innings pitched for at least the first year in the organization. While this may prevent injury, not pitching regularly may hinder his development. 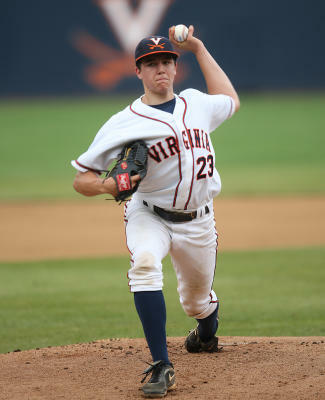 Danny Hultzen– Though Cole has great potential to develop into a good pitcher, he hasn’t dominated college hitters quite like Danny Hultzen of Virginia. The fat that Hultzen is also a lefty will also make them look long and hard at him before pulling the trigger on someone else.